Becoming F1 world champion is the ambition for Sophia Floersch, who is recovering from a scary crash in Macau last month. 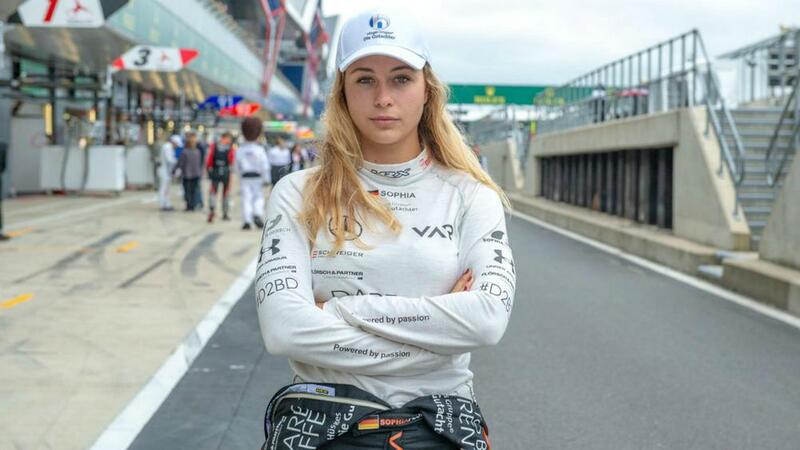 Sophia Floersch has set her sights on becoming Formula One world champion as she continues to work towards a return to motorsport following a horror crash last month. The teenager was involved in a frightening incident at the Macau Grand Prix in which her airborne car was sent flying backwards over the edge of the circuit and into a large hoarding on the other side where marshals and photographers were stationed. Floersch required 11 hours of surgery on a spinal fracture and Van Amersfoort Racing owner Fritz van Amersfoort said she had an "angel on her shoulder". The 18-year-old returned home to Germany to continue her recovery at the end of last month and plans to return behind the wheel as soon as possible. And Floersch has ambitions to break ground in F1. Speaking to BBC Sport, she said: "Of course I hope to be back behind the wheel. "The plans are to do the same series again as I did this year, the F3 European Championship which is now called Euromasters - so that's going to be my plan. "Hopefully it will be with Van Amersfoort, the team that I raced with this year, because they are an amazing team. "I'll see how it goes, but my goal is to get to F1 and have success there and maybe be world champion. "It's quite a big goal but I'm getting closer every year and I think it's possible to be there, for sure, and to be a woman world champion. "I just want to be the best driver. I think the woman part comes by itself." Floersch was also asked how her mother had taken the news that she planned to carry on racing. "Actually, I think she never really asked me, it was more my grandmother and my aunts and uncles," she added. "When I explained why I still wanted to race, they actually understood it. I think all people who are really close to me and who know me already knew the answer before the question because they know that it's just my life and I would continue even though this crash happened."